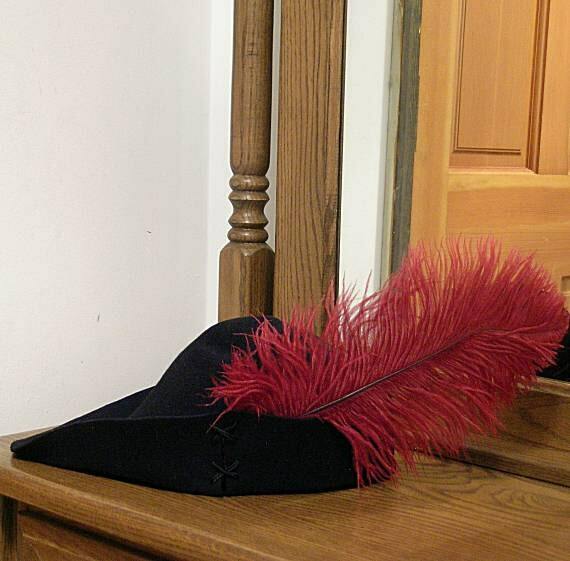 This listing is for a black felt hat with black laces on the sides and back, plus a burgundy ostrich feather (13' - 15" long). 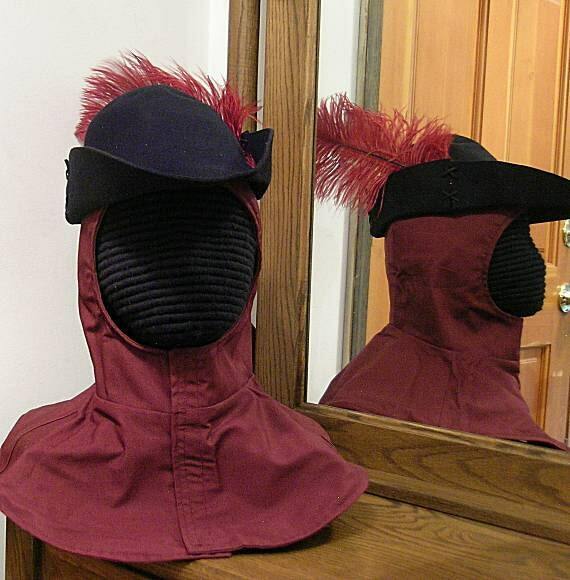 NOTE - The hood is NOT included in this listing! 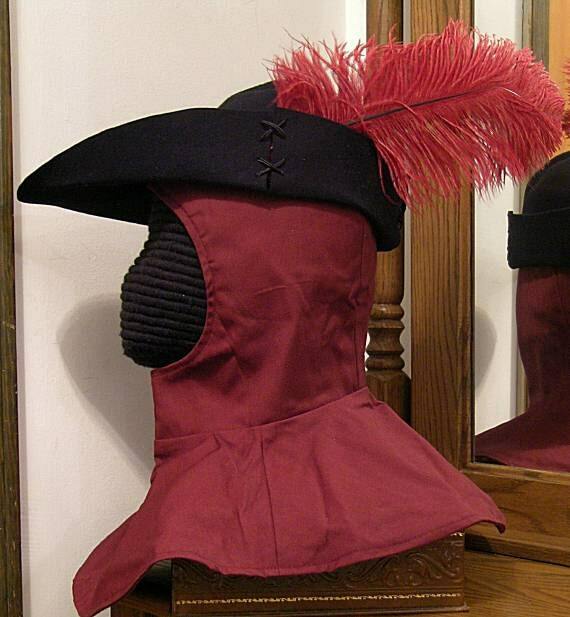 It is a list-legal rapier undermask hood found in the rapier armor section. 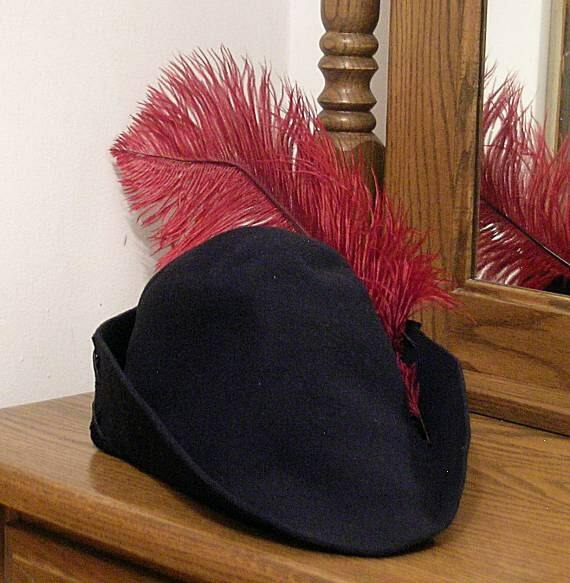 This same black bycocket can be purchased with red laces and red feather OR...white laces and white feather. 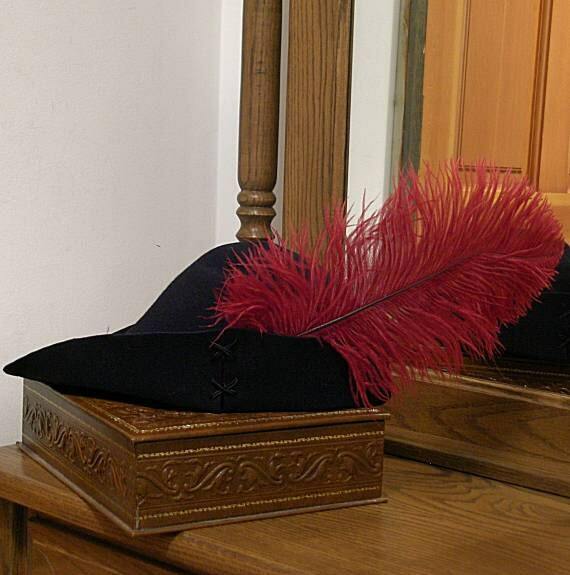 This hat is beautifully formed and sits on the head very naturally. I am very impressed. Thank you for the prompt shipping and excellent work.